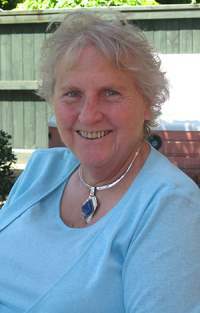 IWANEK, Marianne (Mary) Catharina (née Kolijn) - 12/11/1943 - 1/4/2019. Mary passed away in the Netherlands after suffering an illness while on holiday visiting family and friends. Beloved wife of Josef (dec), sister of Henk, Christine, Pia, Tom (dec), Anneke (dec), Frans (dec), Jope (dec), Herman (dec). Much loved and adored aunty to her many nieces & nephews in NZ and around the world. She will be remembered as a compassionate, intelligent, loving and caring person by all who knew her. Messages may be sent P O Box 44-176, Lower Hutt 5040 or placed in her online tributes book above. In lieu of flowers donations to the Alzheimer’s Society, P O Box 11-288, Wellington 6142 would be appreciated or may be left at the service. A cremation service has been held in the Netherlands. A memorial service to celebrate Marianne’s life will be held at Knox Presbyterian Church, 574 High Street, Lower Hutt on Wednesday 17 April 2019 at 1:30pm.